0.82 ACRES - 4 Bedroom Very Successful B&B With Pool And Room For Expansion!! Successful Bed and Breakfast in OjochalNow this is a piece of Pura Vida paradise! This successful Bed & Breakfast business, #1 in Trip Advisor locally, is for sale. 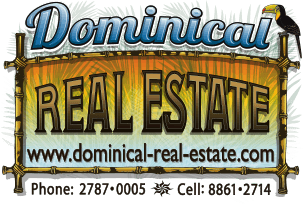 The property is lushly landscaped with a wide variety of tropical trees and flowering bushes. Lighted concrete pathways throughout the property connect the rental bungalows to the incredible pool area and the owners' artisan residence. A year-round creek runs through the back of the property, providing soothing sounds adjacent the owners spacious private deck. The details in the landscaping, design of the home and the bungalows is a sight to see. The custom artwork, mirrors, lamps, and cabinetry are beautifully and artfully created with locally found natural materials. Simply beautiful! All of the structures are immaculately maintained. The two bungalows are designed to really maximize the living space, with a comfortable living and dining area and a private deck overlooking the gardens. The kitchenettes are suitable for both nightly or weekly rental. Each bungalow can comfortably sleep 3 people, with a 4th possible on a trundle bed. There are two common areas for guests. The pool area looks incredible relaxing, complete with large tiled pool, a beautiful wooden deck with lounge chairs and a Bali-style covered dining area. There is also a large rancho where guests can enjoy games, watch movies and enjoy catered dining events. The private owners' home is really lovely, featuring beautifully detailed custom cabinetry and custom furnishings throughout 2 bedrooms, 1 bathroom, an open-concept living and dining area, an office, a galley kitchen and a spacious walk-in pantry/laundry room. The spacious deck wraps around 2 sides of the house, overlooking the babbling creek, with plenty of shade. The house has a separate private entrance and an attached carport. The business financials are current and will be shared upon serious inquiry only. There are 2 sites where additional bungalows can be constructed to provide for increased income potential. Best Features: Very successful B&B with financials available to serious inquirers only.